Simple management & analytics software for Telegram communities. Is there a better alternative to TeleMe Desktop? Is TeleMe Desktop really the best app in Internet Utilities category? Will TeleMe Desktop work good on macOS 10.13.4? Telegram group management & analytics bot software. TeleMe delivers a robust solution for managing ever-growing Telegram communities. 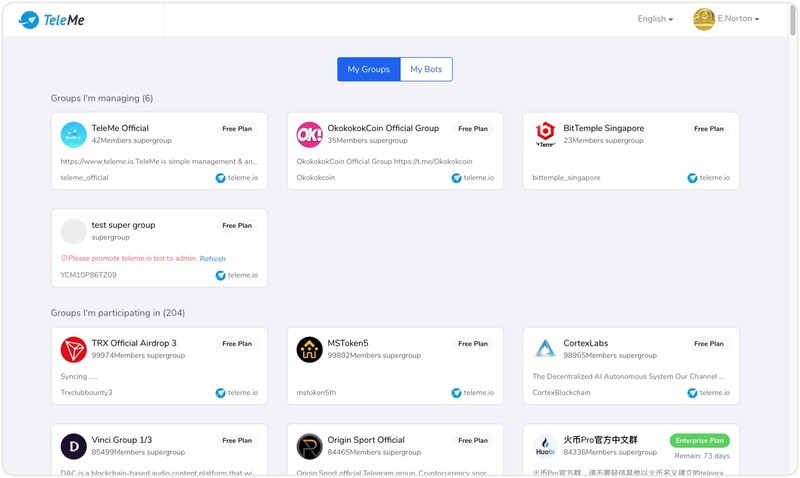 Group Dashboard - Get a quick overview of all groups your are managing or participating in. Reporting and Metrics Intuitive reports paint a complete picture. TeleMe Desktop needs a rating. Be the first to rate this app and get the discussion started! 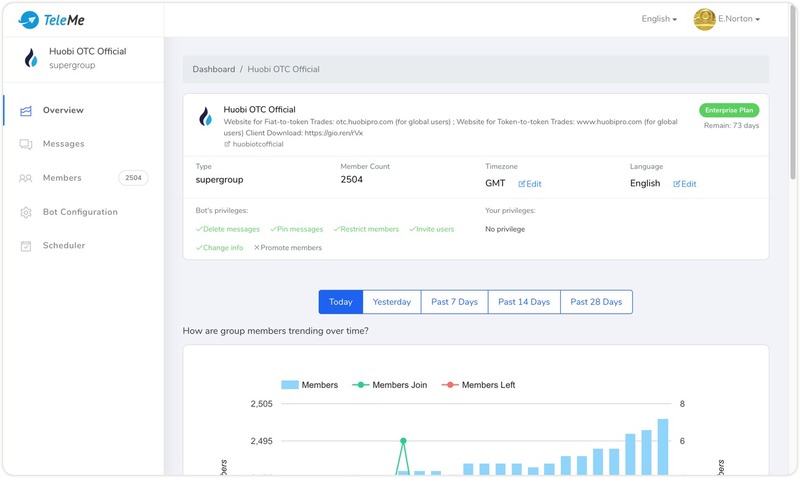 Monitor trends - Find out what attracts people with TeleMe's group rank-lists. Learn from their habits, so you can better serve them. 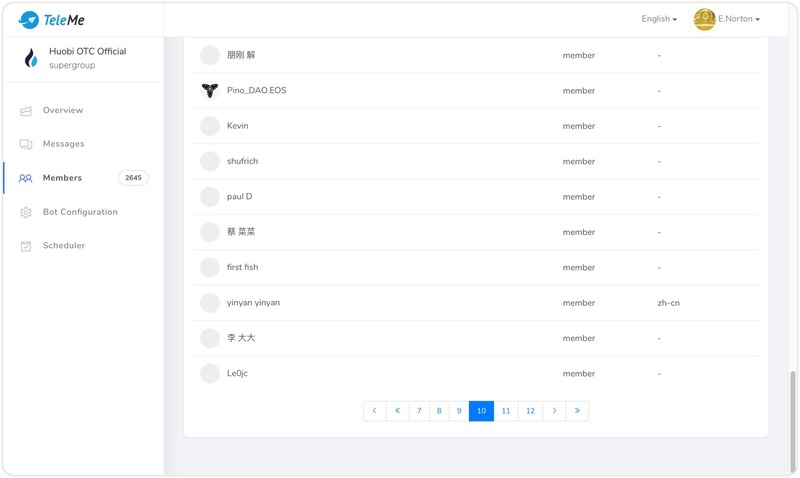 Fine-grained Member Management Search through all members in your groups. View activities of each individual member and manage rights of them. Editing Member - View each individual member activity report and edit restrictions for that member. Team Collaboration Stay on top of what's happening, work together, and keep your team focused on the community growth. Admin Access Control - Administrative privilege of each team member on TeleMe is automatically synchronized with Telegram. Anti-spam Sophisticated protection to keep your community safe and clean. 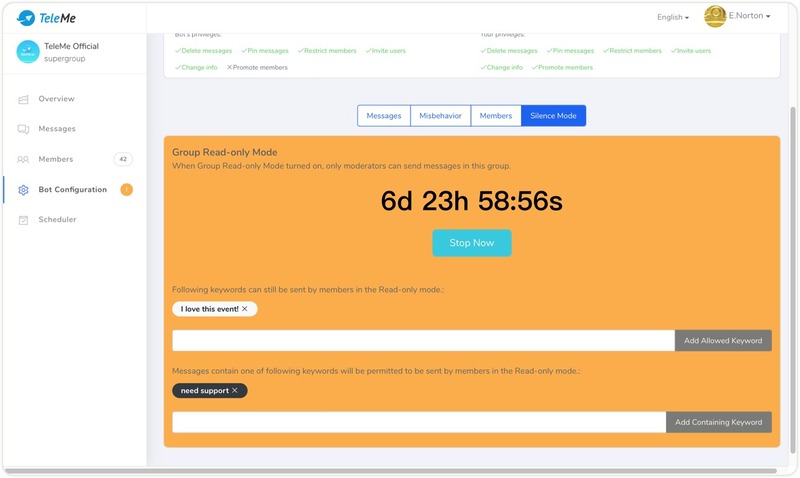 Long-name Spam Cleaner - Messages from spammer using long name for advertising or phishing will be automatically cleaned. And spammers will also be restricted. 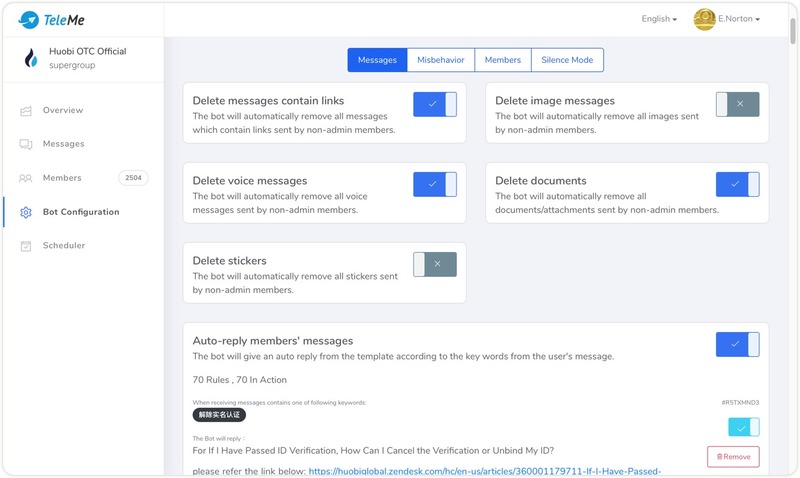 Command Flood Cleaner - Bot commands flood is prohibited and senders will be restricted, without effects on ordinary usage of bot command. Spotting Spammer - With member credit service across communities, most spammer can be automatically spotted for your judgement. Silent Mode When group silent mode switched on, only group administrators can speak in that group. This help you turning your Telegram supergroup to a channel temporarily.